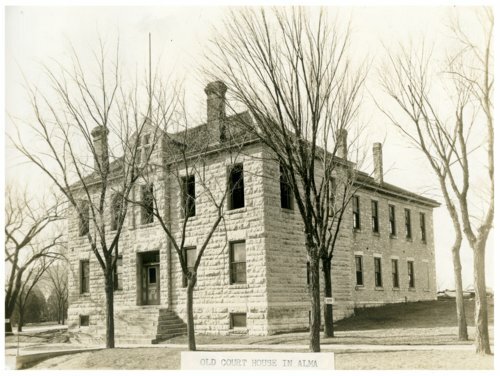 This view of the old Wabaunsee County Courthouse dates from May 1932 as the courthouse was being demolished after the construction of the new building. The new courthouse is hidden in this photograph behind the old building. Notice the windows have been removed from the second floor and "Danger" signs are posted on nearby trees.